So this it! You and your beloved have set the date and you are inviting all your friends and family to the wedding. So many things to think about and plan! Some people love planning and can’t wait to get everything in place while others dread it. Hopefully, between the two of you, you will manage to make this as stress free as possible. Looking for help? Try some of these popular wedding resources. There are of course the big things to consider first. Church, reception venue, caterer, photographer/videographer, cake, invitations and entertainment. Once you have the major items sorted, it’s time to think about the fun things. 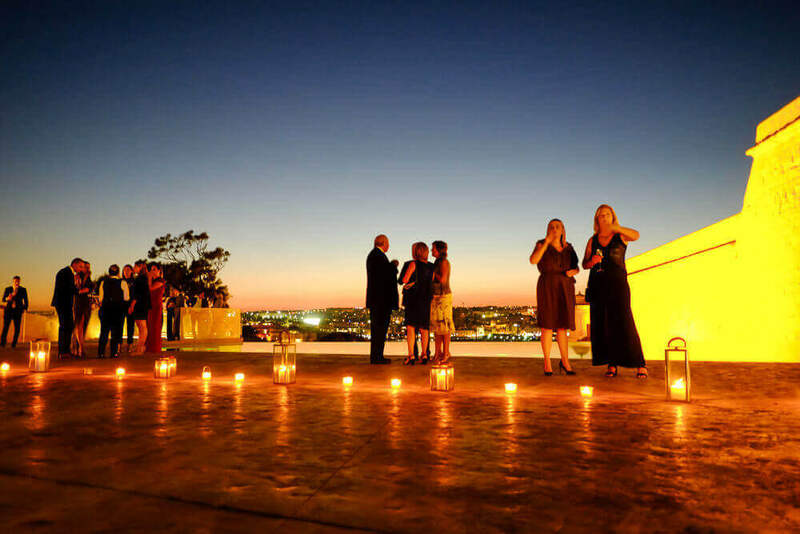 Live music is a must at most Maltese weddings. There are so many fantastically talented bands on this island that specialize in weddings. The band will set the tone for your wedding so choose wisely. Here is a great way to find out about the many bands and other musical options for your wedding. Most weddings these days also include a photo booth or some form of photo entertainment. 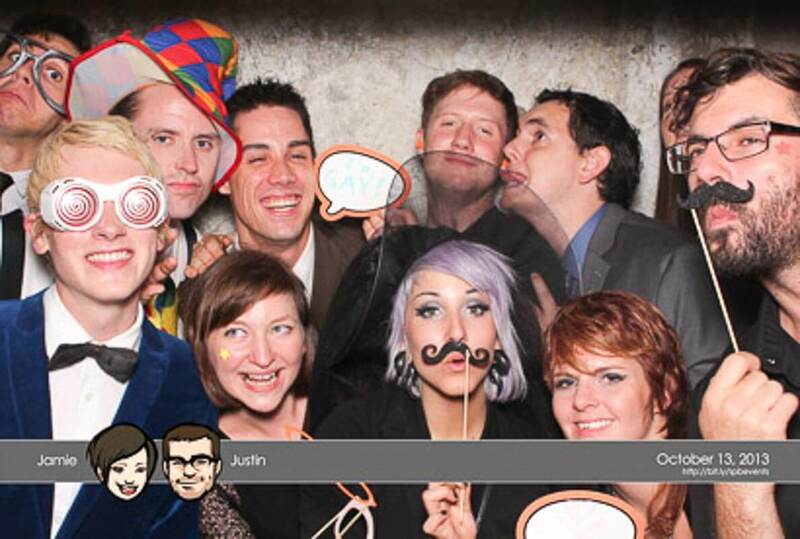 The wedding photo booth provides a great opportunity for a number of reasons. It’s a great way to break the ice for your guests. Once the bar is open and guests see the photo booth props, it doesn’t take long for the photo booth to become the life of the party. Everyone loves to put on the turkey hat and act silly for the camera! Others take it as an opportunity to get a portrait of their awesome outfit. Couples love the photo booth! So many options for them to commemorate your wedding. It’s also perfect for families to get everyone in a family photo – all looking smart. You can also create a wedding album featuring all your guests! The photos that are given to the guests are a great souvenir of your wedding. Bound to end up on a fridge or some other high traffic area. But even better is creating a guest album from the photos. Having a dedicated person create a wedding album for you is priceless. Each guest is prompted right after their photo booth session to write a little something in the guest album next to their photo. It could be a simple “Congratulations” or “Awguri”, or it can be a love poem or an inside joke. You will love to read these sayings as you go through the album. With all your family and friends at your big day – it makes sense to create something so meaning full and filled with love! Don’t miss this opportunity to capture all your guests! Creating wedding photo booth guest albums is one of our specialties! Let us take care of creating a great album for you. 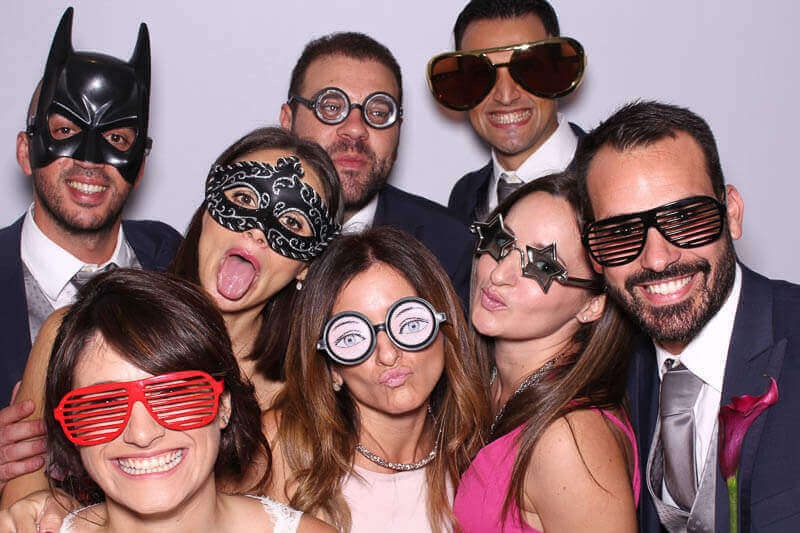 Lets get your photo booth hire sorted!